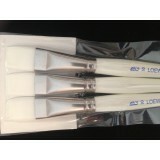 High quality brushes for perfect 1 stroke work. 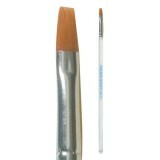 Number 2 Flat brushes are great for small 1 strok..
Loew Cornell Series 792 1 Stroke Brush 3/4 Inch. 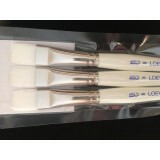 The highest quality brush for beautiful 1 stroke..
Loew Cornell Series 797F Flat Brush # 6. 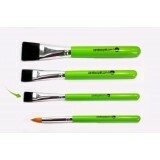 Perfect for all your one stroke designs. 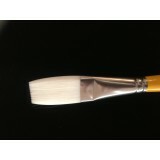 The highest qua..
Loew Cornell Series 797F Flat Brush # 8. 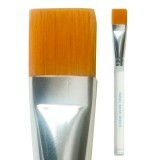 Perfect for all your one stroke designs. 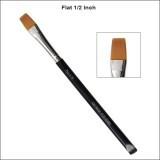 The highest qua..
Loew Cornell Series 797F Flat Brush # 10. 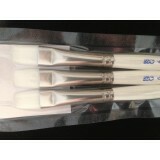 Perfect for all your one stroke designs. 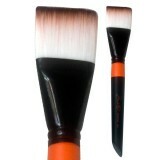 The highest qu..
High quality brushes for perfect 1 stroke work. 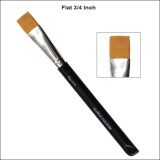 Number 4 Flat brushes are great for medium sized ..
High quality brushes for perfect 1 stroke work. 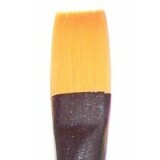 Use with your 1 stroke split cakes for sensationa..
Cameleon 1/2 inch flat brush. 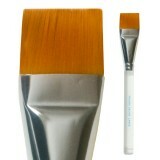 Fantastic to use with colourblocks and one stroke split cakes. 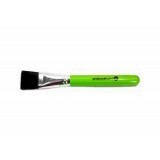 Made..
Cameleon flat brush is perfect to use with colourblocks or one stroke split cakes. Made from the ..